This list does not attempt to be exhaustive, complete, or comprehensive. 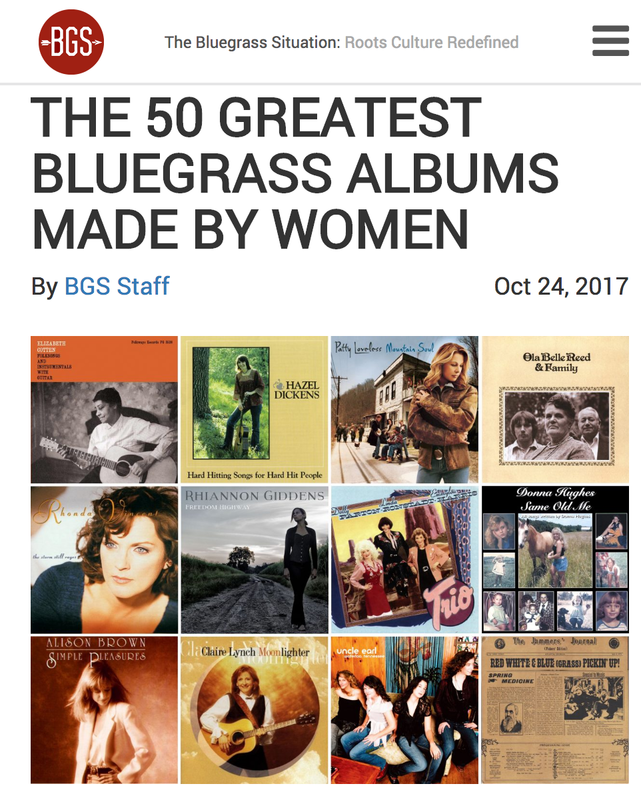 We dare not be so bold as to claim that every important bluegrass album created by women is included. We are simply striving to illustrate the far-reaching, undeniable influence that these incredible artists have had on the music, as a whole. Each contributor, many of them groundbreaking, trail-blazing artists themselves, has chosen albums that are personally impactful. Glaring omissions and oversights are almost guaranteed, but therein lies the beauty of this conversation: This collection is merely a starting point, a springboard for a greater dialogue about the place of female creators, artists, musicians, and professionals in the telling of the history — herstory — of bluegrass.